The Department of Aerospace at Maryland is a dedicated, stand-alone department, meaning we are a separate and distinct discipline rather than being a part of a larger department like many universities. We have 31 dedicated professors who teach aerospace courses to our undergraduate and graduate students. All first year Clark School students participate in Keystone classes to begin their engineering experience. Class activities include building your own prototype over-sand vehicle and testing it on a 60 foot course. Working in teams to complete a hands-on engineering project in year one builds fundamental skills and knowledge you'll use throughout your engineering journey. Due to our large research budget, over half of our undergraduate students are employed in one of our many research labs on campus. These research opportunities may begin as early as your freshman year, but most students begin their employment in their sophomore or junior year. From hypersonic wind tunnels to the only neutral bouyancy facility of its size on a college campus, students at the University of Maryland have access to state-of-the-art laboratories dedicated to research and education providing a wide variety of opportunities to engage in top-notch research and scholarly pursuits. A broad range of student competition, research and volunteer organizations that empower aerospace engineering undergraduates to apply classroom knowledge and hone the skills needed to be successfull in the years after graduation. The Clark School's Office of International and Leadership Programs offers a range of semester-long study abroad opportunities tailored for aerospace engineering. Aerospace engineering students typically study abroad in the spring of their sophomore year through several of our exchange partners or the Clark in Madrid program. 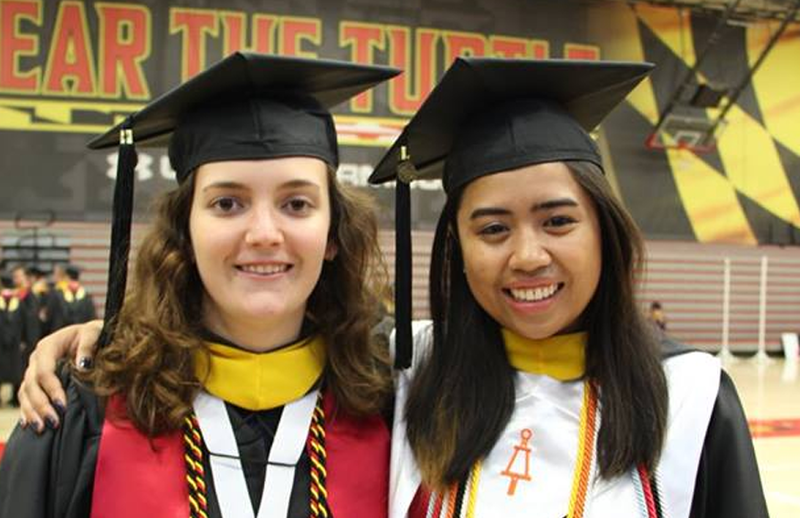 With the University of Maryland's promixity to Washington, D.C., we are located in a geographical area which is rich in co-op, internships, summer and full-time job opportunities. The campus is less than five minutes from NASA Goddard and numerous industry and government posts can be obtained in and around the D.C. and Baltimore corridor.